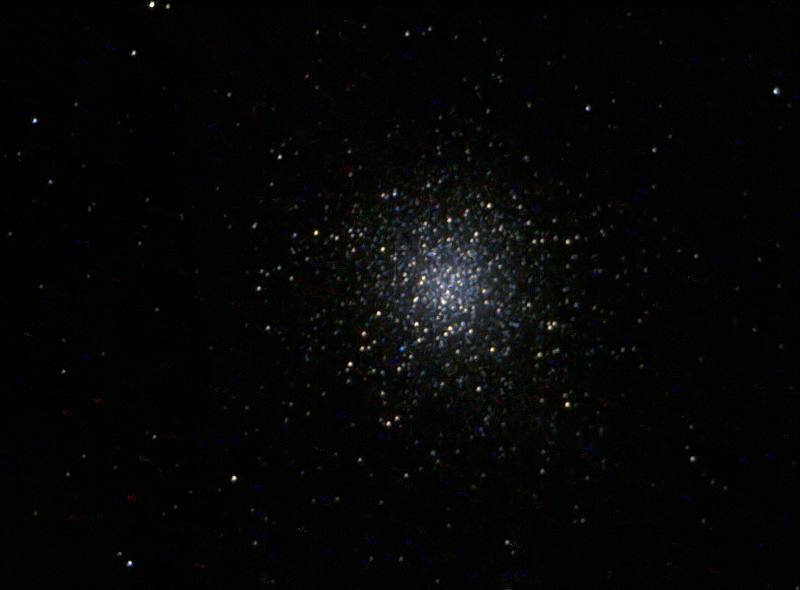 A ZWOASI120 MC camera was placed at the Newtonian focus of a 6" Newtonian on a Star Discovery, AZ, GOTO mount. 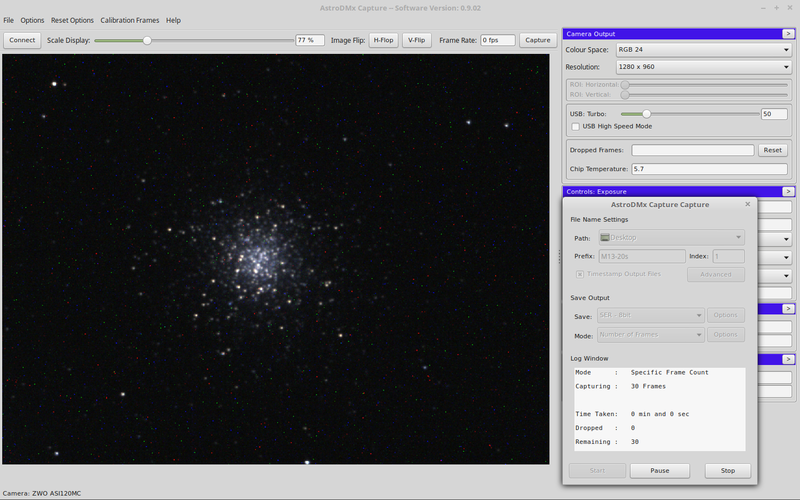 AstroDMx Capture for Linux was used to capture a 50 frame SER file of 8s exposures of M13. An equal number of dark frames were captured in a SER file. 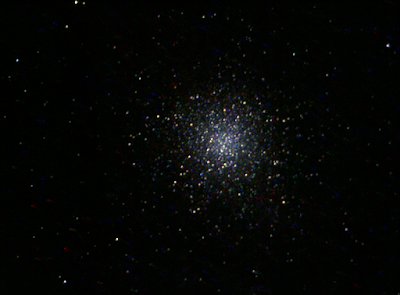 The best 90% of the frames were stacked with dark frame correction in Autostakkert! 2.6 running in Wine. The resulting image was processed in Neat Image and the Gimp 2.9.